Court to rule on IPOB’s application against its ban on January 17th, 2018 – Royal Times of Nigeria. 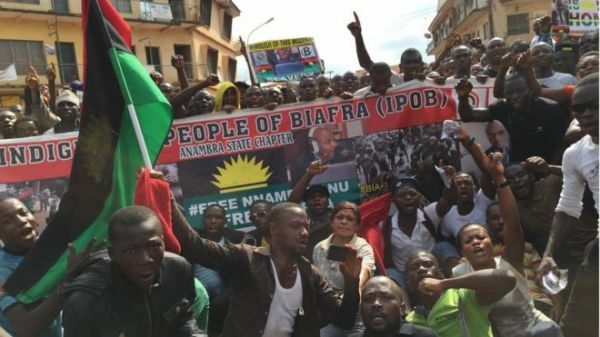 A Federal High Court in Abuja has fixed January 17th, 2018 to deliver a ruling on an application filed by members of the proscribed secessionist group, IPOB, for the ban on their activity to be lifted in Nigeria. It could be recalled that in September, Justice Abdu Kafarati had granted an application by the Attorney General of the Federation, for the activities of the group to be banned in Nigeria and for their categorization as a terrorist organization. In a swift reaction, IPOB filed an application, asking that the ruling of the court be dismissed and the ban on their activities be lifted. Justice Abdul Kafarati during the court hearing on IPOB’s application, yesterday fixed the ruling for January 17, 2018. This was after he had listened to the argument of the counsel to IPOB, Ifeanyi Ejiofor and the Solicitor General of the Federation, Dayo Apata. Ejiofor told the court that it is speculation and hearsay for the solicitor general to link IPOB to a terrorist organization. The Solicitor General had earlier told the court that members of the secessionist group have been linked to the seized arms at the Lagos port. The Solicitor general said that prior to the arrival of the arms from Turkey, the sacked IPOB leader, Nnamdi Kanu, had hosted a Turkish visitor and that all actions preceding the proscription pointed to the fact that the group had assumed the posture of a terrorist group.